Homeschooling kids with special needs presents a unique set of challenges, and no two kids are the same. In our world, Autism and ADHD rule the roost. 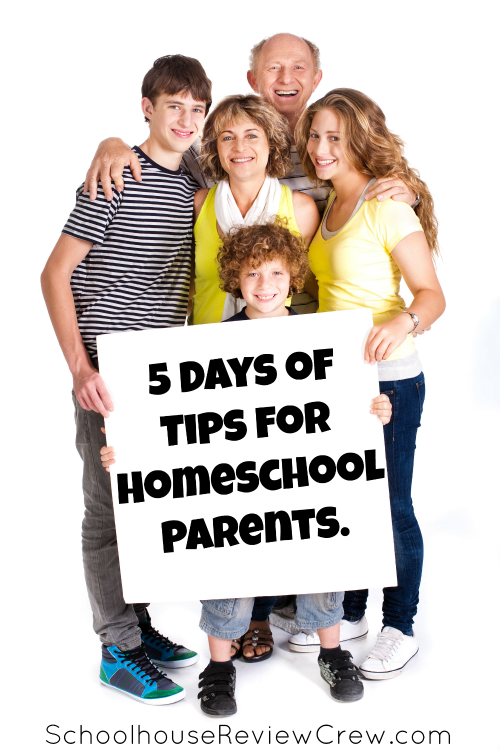 After homeschooling K-5th so far, I've learned a few tips and tricks to make things go more smoothly. 1.) Break up the work Kids with autism are usually very literal and concrete thinkers. If I put a large textbook in front of Mr. B he thinks he has to finish the entire book at one sitting. I will rebind books into smaller segements, X out the consumable page and make copies for our own use (if needed, contact the vendor and explain your situation to make sure you aren't violating copyright!) Or I will put in page dividers. When possible, I use curriculum choices such as Memoria Press that has smaller student books that are sectioned in a manner that he can see how much he has to complete at one sitting. It's also great to find products that allow for copies or encourage it. Online curriculum like A+ Interactive Math or SuperTeacherWorksheets.com is great because you can print off the worksheets as they are needed. 2.) Take Breaks Sensory diets are a breeze to work into your homeschool day. You are in control so you can take a break when needed, spend extra time when needed, or even take a whole day off when needed. Kids learn by more than just book and paper work, you can choose to watch documentaries, do fun hands on activities, or nature walks. 3.) Promote self paced learning. I do not want to have to prompt Mr. B to attend to task all the time so I promote self paced learning. I choose products that are easily navigable for him to see what needs to be finished, and the way to get there. UnLock Math is great for this. Each section for the lessons has a path of sorts that your child can follow to know what to do and when. I will also use worksheets and page dividers. I do not care what order he does his work in, so long as he finishes it all. 4.) Take it Easy Don't put too much stress on your child. Try to promote a love of learning so that they will be eager to learn on their own. 5.) Cater to your child's strengths Mr. B LOVES meteorology. So we use it. I earned a minor in meteorology because I used my college meteorology classes as a reward for Mr. B behaving well in my other classes. I will use weather books as reading, science, and geography. I will use weather programs as a reward for finishing his school work in an acceptable time frame. And we will do weather themed lesson work. 7.) Realize your child's academic abilities It's ok for your child to be on a collegiate level in reading and a 2nd grade level in writing. Knowing this will enable you to build up the writing skills! There is power in knowledge, and knowing your child's abilities will give you the ability to build those skills that are lacking. Look for placement tests to determine your child's level. Take the test multiple times. Some days your child may just be having a bad day and will test lower than they would otherwise. 8.) Social skills and daily living skills. Homeschooling is GREAT for autism for social skills and daily living skills. Thanks to homeschooling, I can take Mr. B out in the real world to teach him how to socialize in the way he will need to know as an adult. I can teach him how to grocery shop, do banking, buy a car, go to the doctor, fill out papers, and conduct himself in a wide variety of settings. We can work on daily living skills such as basic personal hygiene, household chores, etc. All of this would be lacking in a public school setting.